As a child I was surrounded by the commercial design and pop-cultural art of Japan. I played with Transformer robot toys, pumped quarters into Pac-Man and Donkey Kong, watched Star Blazers (Yamato) and Robotech (Macross) cartoons after school, and listened to mix-tapes on my Sony Walkman. In art school, I became fascinated by the creative dialog of the late 1800s, where western artists drew inspiration from their peers in Asia. The flattening of perspective and embrace of the two-dimensional graphic qualities of the image were revolutionary at the time, and would lay the foundation for the great modernist movements of painting and design in the West. These influences can be found in Material Design, our comprehensive system for visual, motion, and interaction design across all platforms and all devices. Material Design continues to evolve but, at its core, it relies on the foundations of good graphic and print design – clear typography, systematic layout, thoughtful application of scale, intentional use of color and white space, and foreground imagery. Working together these elements do far more than please the eye. They create hierarchy, meaning, and focus attention on content. Yesterday, I was in Tokyo to host SPAN, our annual design event that engages the many ways design and technology shape our everyday lives. SPAN Tokyo provides us with an opportunity to honor the influence of Japanese art and culture on Material Design, as we highlight the most inspiring local designers and broader creative community. In anticipation of the event, we have translated our Material Design Guidelines into Japanese which we are please to announce are available for download starting today (material.google.com/jp). 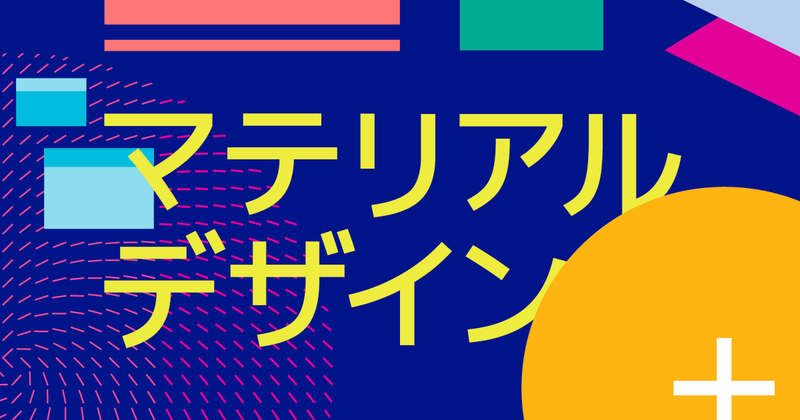 This document is a first step towards making Material Design a conversation that includes our Japanese friends. Furthermore, it is a symbol of our commitment to continuing this dialog of design throughout Asia. With that in mind, we’ve organized SPAN Tokyo to feature a broad range of practitioners contributing to the contemporary visual cultural happening in Japan today—from art generated through machine learning and neural networks, to start-up culture, ikebana, type design, and much more. We’re honored to have been joined by this esteemed group of speakers, including London Design Museum director Deyan Sudjic, illustrator Mariya Suzuki, artist Keiichi Tanaami, and many more. To recap yesterday's conference and stay up to date on future events, follow us on Twitter, Google+, Facebook, and sign up for the Google Design Newsletter.